When we spied Ferm Living’s new Bauhaus-style shelf, with its clever brass spheres and rod brackets, we needed something equally elegant to complement it. 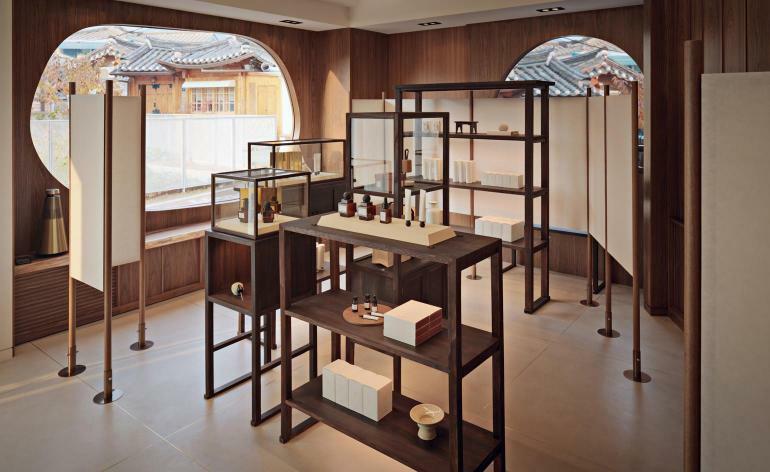 We found it in Paint & Paper Library’s graphic ‘Chart’ wallpaper, and in the Seoul-based interior designer Teo Yang’s new all-natural skincare line, Eath Library. Informed by traditional Korean medicine, its name and packaging are inspired by a visit Yang made to a traditional doctor and his book-lined office years ago.